This is such a simple way to serve fish and any firm white fish will work equally well. Baking and basting the fish in melted butter adds a delicious richness to it and the heat from the Harissa is a perfect balance. A simple supper dish which could be on the table in less than 30 minutes. Melt the butter in small pan, stir in the harissa and lemon juice. 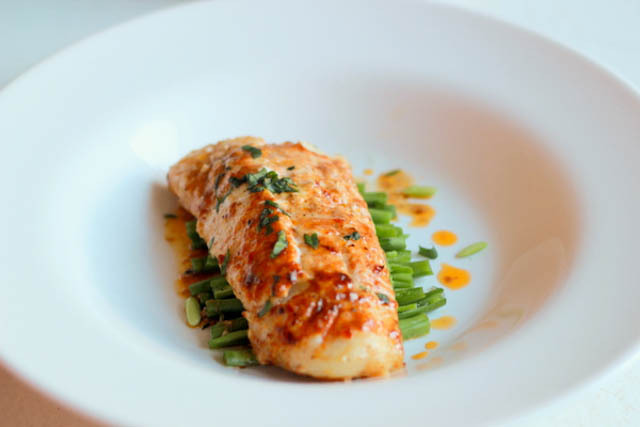 Serve the fish topped with the butter juices and some green beans.